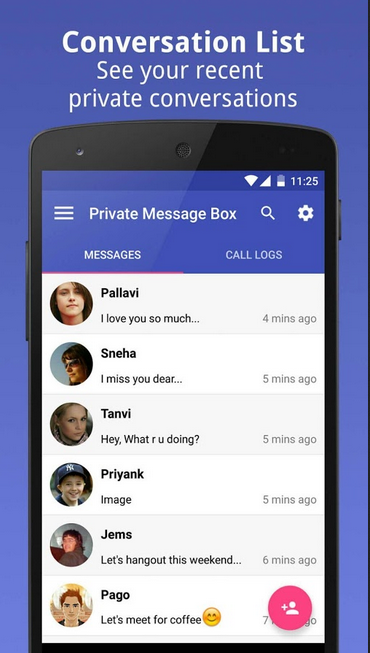 Do you worry about your private messages?or you want to hide your text/messages from your friends?if yes,then private message box android app is the best app for you to keep your text/messages safe and secure from your others.Private Message Box is one of the best text/sms/messages security android app which hides your messages behind a pin code. All you have to do is to add the contact of which you want to hide text/messages from others to Private Contact list.Any new incoming text/message will directly go to Private Contact list portion and nobody will be able to take access to them without passing through correct pin code pattern.Private Message Box app is free to download and easy & simple to use.It keeps all of your android text/messages behind a pin code and keep them secure from others. 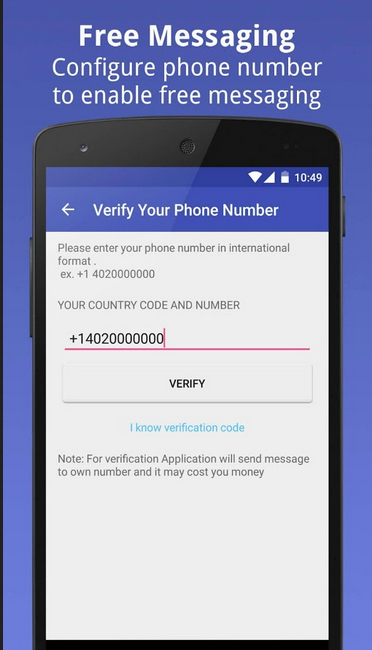 The default password for private message box android is "1234". 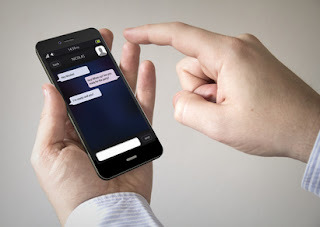 Full texting & multimedia conversation with others. 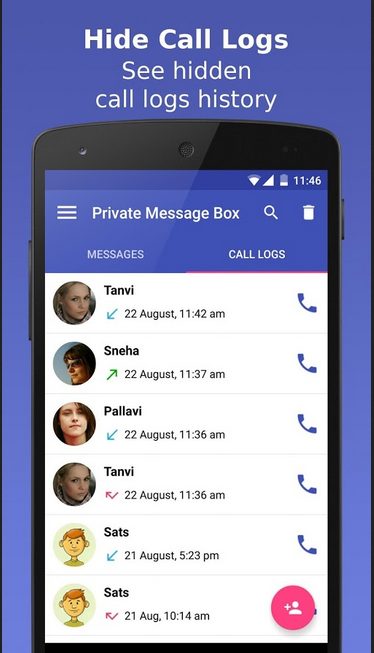 Can open Private Message Box from default phone dialer. 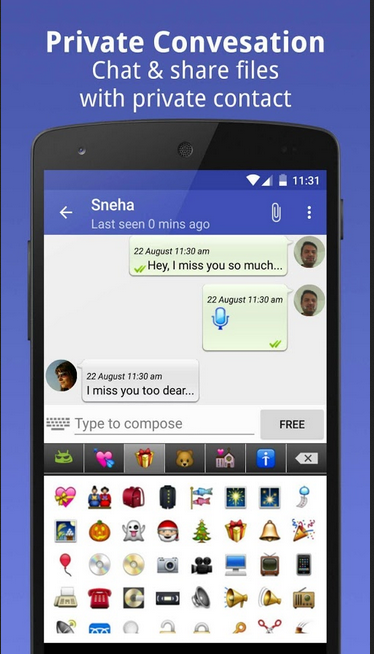 Protection of all your text/sms/messages. Timeout feature:Set time to close the application. 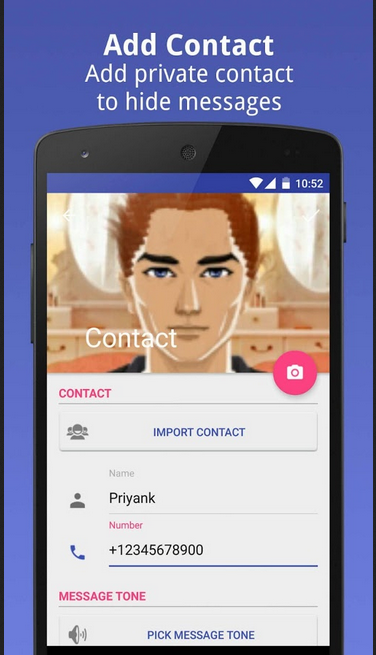 Tips to Hide you private photos in phone.